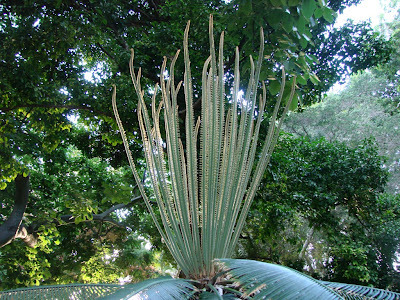 Here is the view of the top of one of the many varieties of palm trees at Foster Botanical Gardens in downtown Honolulu. Foster Garden’s located at 55 North Vineyard Boulevard is one of three botanical gardens in Hawaii and a 13.5 acre of green located right in the urban town area. It is known for its Palm trees, orchids and some exceptional trees. For those who love palm tress check out the Telly the Talipot blog to see another amazing palm. 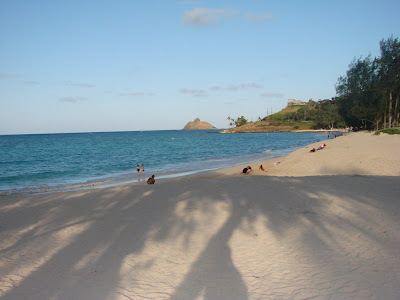 Shadows of palm trees on the white sandy beach of Kailua. 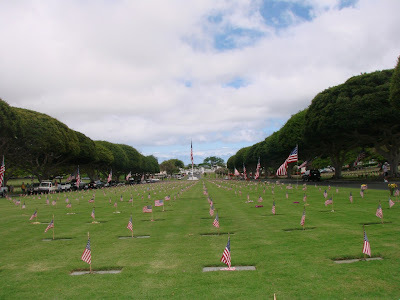 This is or “ironic” photo of they day since today is Lahaina Noon day on Oahu. Lahaina Noon is a phenomenon where he sun is exactly overhead at high noon and Hawaii is the only place in the United States to experience this. So go out at noon today and there should be no shadows.